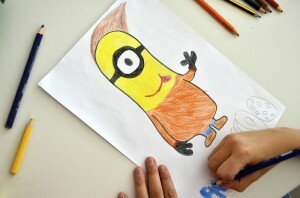 Everyone knows the funny Minions, the small yellow handyman from the movie “Despicable Me.” In 6th grade classes, we began to know each other by drawing our avatar Minion. 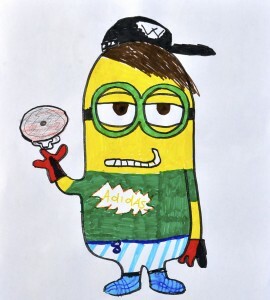 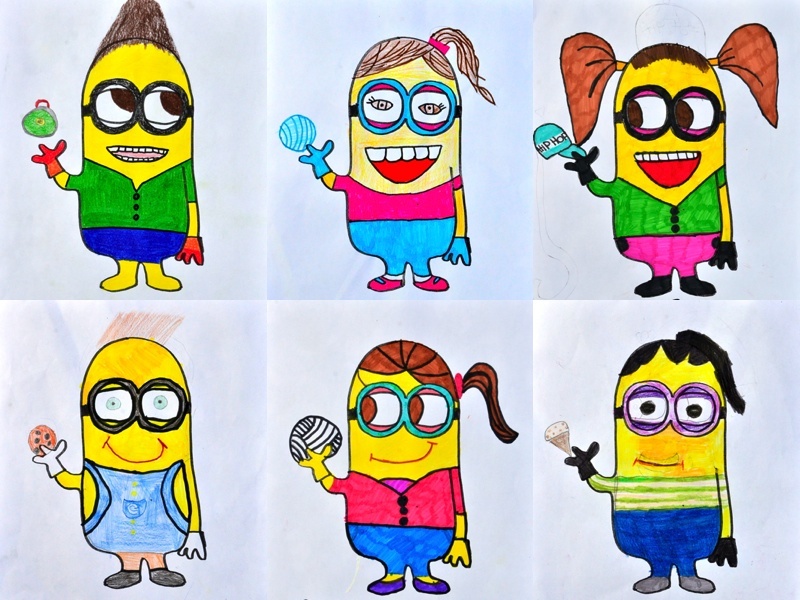 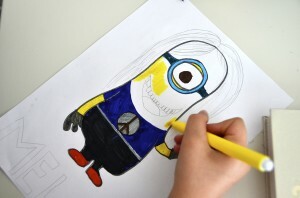 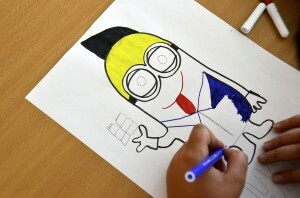 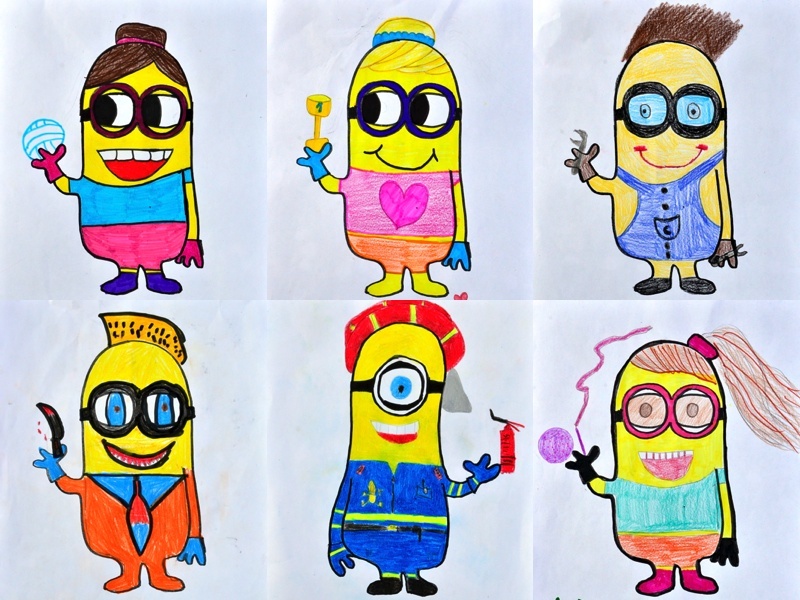 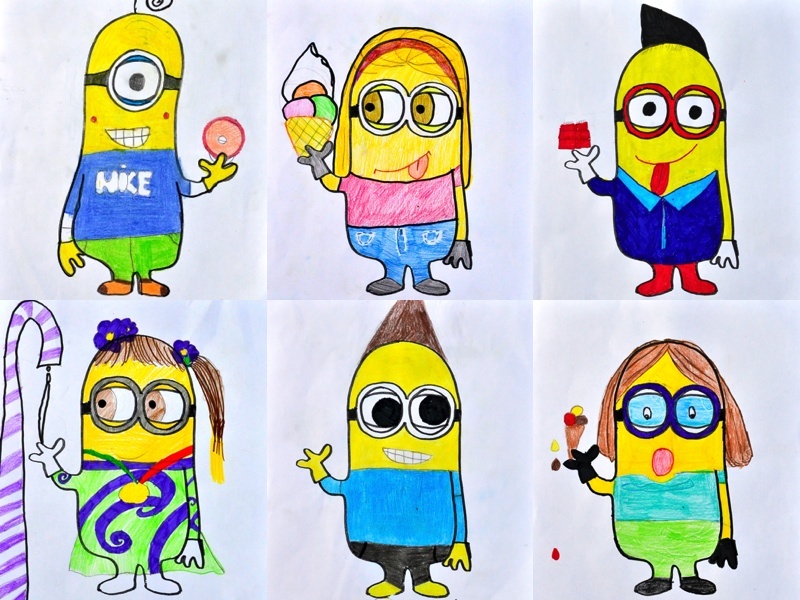 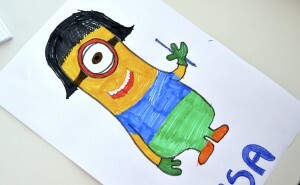 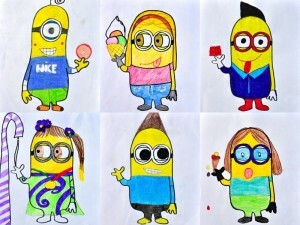 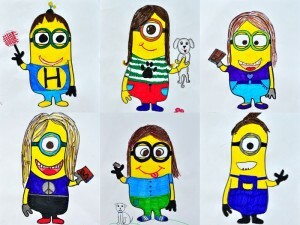 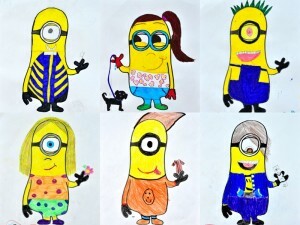 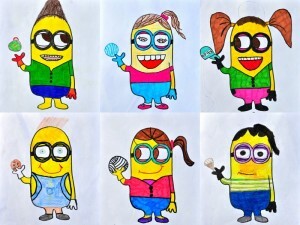 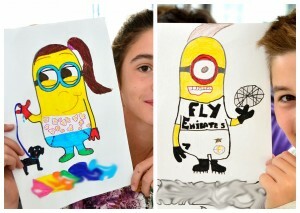 Each student drew himself in the form of a “minion”, with his name written below the figure and an object that characterizes his own personality and preferences. 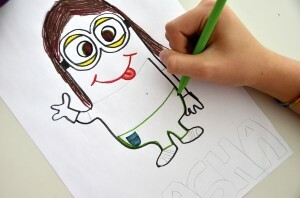 Then I photographed the drawings, along with the faces of the children, in order to have my own personal photo archive to learn the name of each student. 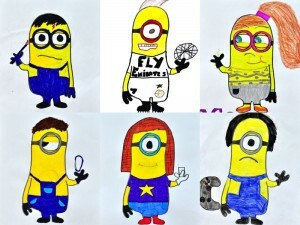 How awesome! 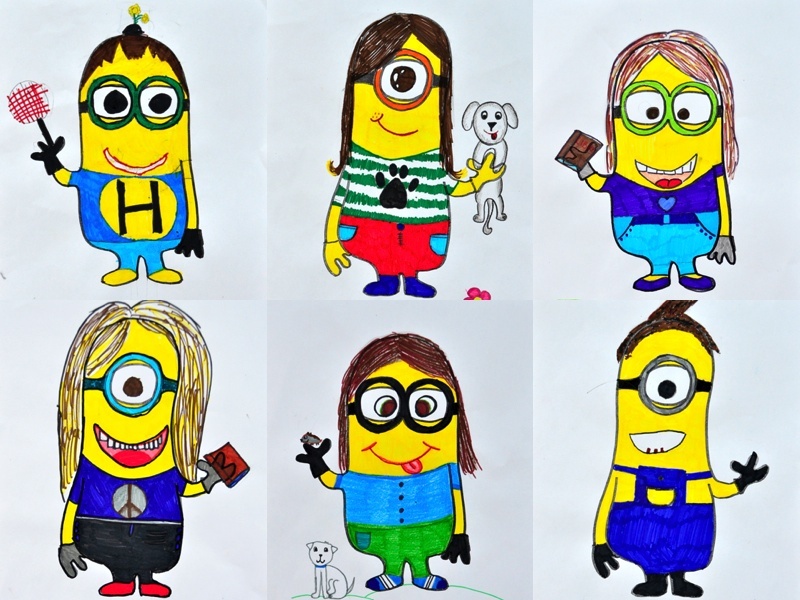 I love creating my lego self portraits with students, but the idea of the minion self portrait–I LOVE IT!